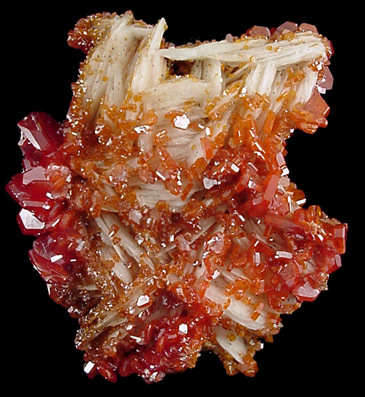 Description: Brilliant red vanadinite crystals overgrown on white, bladed barite crystals. 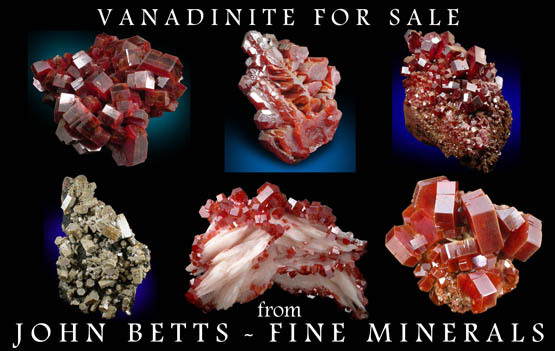 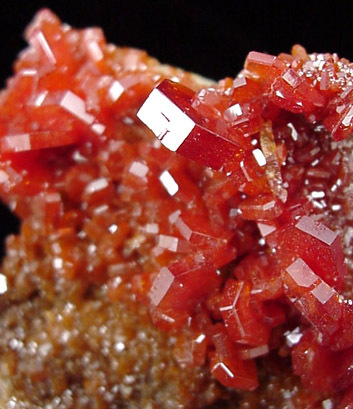 The vanadinite color is superb - the most desired pure red. 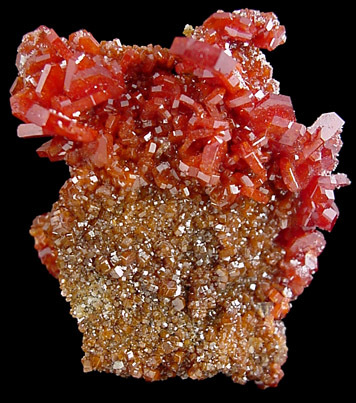 Specimen is fully crystallized on all sides and surfaces - a floater.